Beaconhouse is a well known school country wide. It provides finest education to its students through highly qualified and reputed faculty. It is ranked among top schools. It has its campuses all over the country, and in Lahore its campuses are G.T, CSC, ALGC, BLL, BDC and more junior campuses as well. 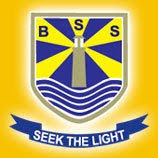 Life at BSS is very lively and fresh. Students are very energetic. Co-curricular activities go on throughout the year and talent is applauded. If I talk about the social class at BSS, it has upper class, upper middle and even middle to a small number. Environment is quite chilling and free for students but in some branches there is strictness as well like BLL (Beaconhouse liberty campus). Students are well groomed and have communication and other interpersonal skills. Students are being heard, they have right to raise voices if the teacher is performing unsatisfactorily and management is on the track not in favor of student’s future; without any threat or hesitation as it’s their right. Management/Administration cooperation is a must, as these are the body’s who can resolve students’ issues but it’s sad to learn that the management of BSS is not cooperative. It may be in terms of equal opportunity, Favoritism or rules. Co-curricular activities are highlight of BSS, but its heard that sometimes opportunities are limited to particular students, who may have strong affiliation with teachers, have affluence or combination of both due to active participation and prominent achievements. Occasions and events are being held frequently, well organized and marvelously executed. So along with tough studies students are being given equal opportunity to have fun filled life. School aid students with Computer lab, science lab and library, all are well equipped and complement and comfort the students very well in their studies. Besides it also has cafeteria which is good enough. But they lack when it comes to transport and Hostel facility for students. Hostels can be compromised but transport is the one of the basic needs and it should be there. It is an expensive institute to be in. Students have to bear high cost to be a part of this premier institute. But students with brilliant educational history are being awarded with scholarships. It’s an excellent approach to encourage and motivate students to continue with brilliant studies. As per my knowledge, which I shared with you people, I conclude that its good to be a part of Beaconhouse School System.